Done right, it forms loyalists out of customers by serving them what they need, when they need it, and increasing their reliance on you as their solution provider and industry expert. Not only is this alignment organizationally strategic, but it is beneficial to the customer by minimizing frustrations when there are visibility and alignment among all those tasked with customer engagement. In a recent conversation I had with Former ExactTarget CMO Tim Kopp about the collaborative power of Customer Success and Marketing, he pointed out that the lifetime value of customers is a key concern for CEO’s. Therefore, it’s incumbent upon executive leadership to align the functions and teams that work to ensure that value. Chartering Customer Marketing and Customer Success organizations as collaborators who tag team to deliver value to customers, ensuring their success and loyalty, is the key to optimizing their lifetime value. How precisely does this model help you curate advocates who will help grow your business? This seems to be the hang-up for many. They’ve got Customer Success teams working to keep customers engaged, and they have marketing teams who are focused on identifying and nurturing new customers. Unfortunately, when these two units work independently, there’s potential for dropped balls and miscommunications. Customers can lack the feeling of consistency (in messaging, values, and brand). What’s missing is a unified plan for garnering loyalty through engagement. 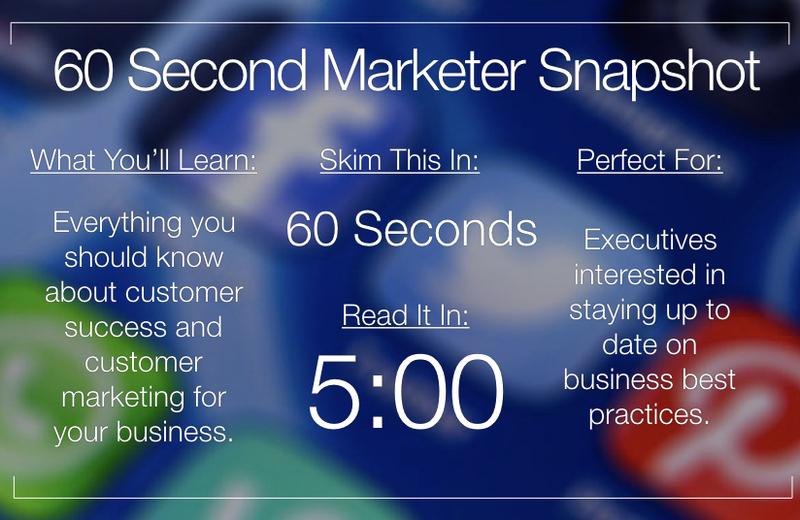 Customers don’t become advocates simply because you have a good product that they like. They need to be continuously engaged and inspired to become advocates. These experiences begin during sales and continue throughout the life of the relationship, and stem from all customer interactions. They happen when an enterprise adopts and implements their own culture of advocacy. It’s part of their DNA to advocate for one another and for their own customers, and, in turn, to cultivate loyalty and advocacy among their customers. 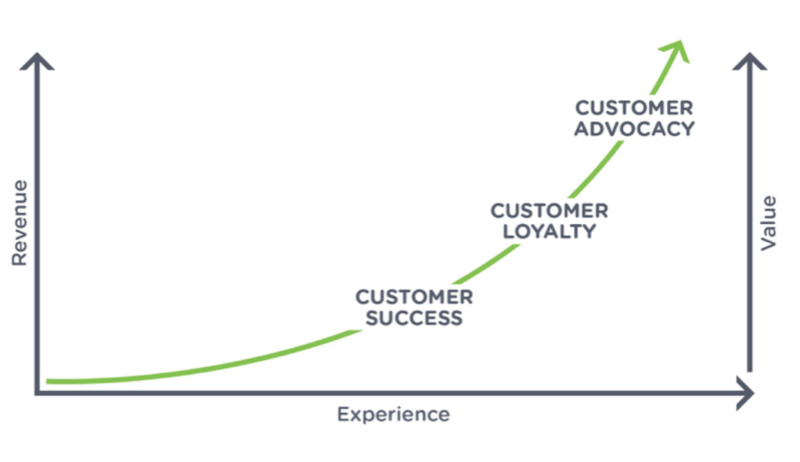 These basic principles of customer engagement are core to a culture of advocacy, and should be engrained in ALL interactions; from customer success management to marketing –– as well as finance, support, R & D, etc. They are the lifeblood of positive customer experiences, which form the basis for loyalty. It has become virtually impossible for enterprises to fully know their customers. The sales team knows them as opportunities. The finance folks know their payment history. The service team knows what the customer complains most about. Does the product team even know the customer? Even between the more closely aligned marketing and Customer Success teams, it’s difficult to know and communicate what the customer needs most (services, content, interventions, incentives, etc. ), what’s been done to address those needs, and what’s worked and what hasn’t worked. This sort of disconnect between customers happens when business units are working in siloed, disparate systems, and relying upon different data to assess the status of a customer. Failure to know customers from multiple angles (lifecycle stages, stated goals, marketing metrics, etc.) can result in embarrassing moments, strained relationships and customer dissatisfaction. Consider the QBR where the customer complains about the irrelevant content they continue to receive in their inbox or where the CSM is unaware of an unpaid invoice. When a single unhappy customer can result in as much as $2 million in lost revenue, account transparency is a function you can’t afford to neglect in your technology. Technology that provides transparent and full knowledge of customers (account data, standardized processes, history, marketing metrics etc.) allows business units to collaborate and act with consistency. The right technology will also enable this knowledge to be used to support strategy, planning, and workflow. While technology and data consolidation alone will not assure customer loyalty, the right technology can absolutely minimize the risk of disconnects, dropped balls, and poorly targeted marketing campaigns as the causes of attrition. Conversely, the wrong technology, or the disconnection of technologies, can impact customer satisfaction and loyalty. If Customer Marketing and Customer Success are the dynamic duos in securing customer retention, loyalty and, ultimately, advocacy, then they must be virtuously aligned and led. In other words, the two teams must agree to the systematic approach, adopt the shared technology, and, most importantly, be led by a culture which supports this alignment. As Tim Kopp affirmed, this alignment must be forged from the top down. Whether your organization has a CMO, CCO, CSO, VP of Customer Success, and/or some other leadership structure tasked with customer retention and growth, it’s unproductive if marketing and customer success aren’t aligned. While they may have the same goals and even strategies for garnering customer loyalty, the real efficacy of their partnership comes when leadership instills a common culture of advocacy. As businesses wrestle with how to successfully charter customer success across their enterprise, many are finding it’s logical home in (or near) customer marketing. The CMO for Xeneta (a software for shippers that provides on-demand shipping rates) shares her company’s model for using marketing and customer success professionals together to grow customer advocates. While the Customer Success managers are tasked specifically with customer retention (accounts and revenue), the marketing team sits in close proximity and works collaboratively to LEARN from their counterparts. They use what they learn to develop and deliver relevant content –– blogs, webinars, etc. to existing customers. The team also has a customer advocacy manager whose primary responsibility is to be a liaison between success and marketing and to leverage what is learned to curate customer advocacy. This model fully demonstrates the alignment – and power – of the customer marketing-customer success dynamic duo. When Customer Marketing and Customer Success are working their magic, they are the machine that can deliver that value. However, this cannot happen without executive leadership and an authentic culture of advocacy. About the Author: Haresh is the co-founder and CEO of Bolstra, a Customer Success management platform. Prior to founding Bolstra, Haresh spent 15 years at Aprimo, Inc in roles ranging from Product Strategy to Business Development. A constant evangelist for customer engagement and success, Haresh is passionate about helping other SaaS companies deliver the best possible experiences for their customers.